Flying C Ranch is located in the Beautiful Santa Ynez Valley in the heart of Santa Barbara's Wine Country. It was founded by Will and his mom Betsy Covert in 1987 and is now owned and run by Will and Asta. It has a great facility for Icelandic Horses. Including an 200 m FEIF legal track, 150m pacetrack, a 62ft. covered round pen, Irrigated pastures, Horse Trainer Treadmill and plenty of paddocks and stalls. Ásta is a very active member of the United States Icelandic Horse Congress. She is in charge of the USIHC Registry along with being the current chari of the Sport committee, a member of the Breeding Committee and the Website Committee. She was a longtime member of the of Board of Directors. She helped out translating the Gaedingacompetition rules from Icelandic to English so they are now internationally recognized. Will and Ásta also helped their friend Eyjólfur "Jolli" Ísólfsson by translating the transcript of his first video "On Horseback". Ásta along with Will and others USIHC members in Santa Ynez started a Regional club CIA (California Icelandichorse Association). The CIA hosts 2 shows and some clinics every year at Flying C Ranch. Ásta is multiple Icelandic Championships finalist and American show Champion, she competed at her first Landsmót in 1990 when she was only 11 years old and again in 1994, 1998 and 2000. Ásta represented Iceland at the first Youth Cup held in Luxemburg in 2005. She became an Icelandic Champion in four gait in 1998 in young adults class on her horse Eldur frá Hóli and they were also Landsmot finalist in the same year in her age group. At the Icelandic Championships in 2000 she competed for the first time in the adult classes and she made it to the master level and placed 5th in four gait and 10th in Tölt among all the professionals in Iceland on her horse Eldur frá Hóli. And again in 2004 she placed 5th in open fourgait at the Icelandic Championships then riding Þór frá Litlu-Sandvík. In 2005 Þór and Ásta became Icelandic Champions in Tolt 2 and also placed 7th in Master level Four gait at the same competition. At the World Championships the same year they placed 12th in T2. Ásta has been a member of the US team at the World Championships four times now. In the summer of 2009 she represented the US and was 2nd in Fourgait combination and 3rd in T1 and 4th in Fourgait on her gelding Dynjandi frá Dalvík. This was the third time a member of the US Team has made finals at the WC and that past 2 times it was Will. Ásta was also on the US national team in 2011 and 2013 when she rode Dynjandi again in Tölt and Fourgait and was in in the top 10 both times in Tölt (T1), Fourgait and Fourgait Combination. 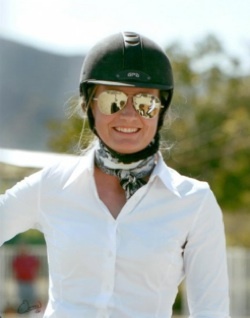 In 2011 Ásta and Dynjandi ranked 2nd in Tölt - T1 with a total score of 8.613 in the FEIF WorldRanking list of riders in the World and 5th in Fourgait - V1 with 7.867. They were also 2nd in Fourgait Combination - C4 with 8.240. And in 2012 Ásta and Dynjandi raised their total score in T1 to 8.790 and ranked number 1 in the World in T1 and C4 with 8.395. They were also ranked in top 5 in V1 with a total score of 8.000 and 3rd place. Ásta and Dynjandi were still ranked in the top 5 in the WorldRanking in 2013 and 2014. Will and Ásta have coached and helped multiple riders reach their goals to ride and qulify at the World Championships and FEIF Youth Cup. Including Anne-Marie Martin at the 2007 World Championships where she and Húni frá Torfunesi came 12th in T2 out of 34 riders. Both Will and Ásta work with top trainers and riders every chance they get to further their knowledge and skills as a rider. Will Covert started in horses very young, first in Quarter horses and now since 1993 in Icelandic horses. Will has been very successful both in America and in Europe. 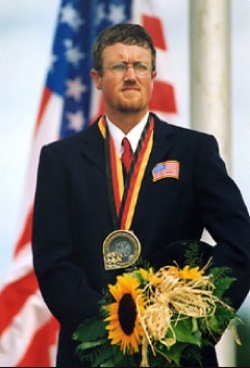 He has been many times American Champion and he became the first American to make the finals at the World Championships in 1997 when he rode Dynur fra Ytra-Skörðugili. In 1999 he went all the way when he won the World Champion title in Tolt 2 on Blær fra Sigluvík. He and his Mom, Betsy Covert, also owned the Stallion, Hrafn frá Garðabæ, who won the 5 year-old age group at the World Championships. Will has been in Iceland training and speaks fluent Icelandic. He is the first American member of the Trainer Association of Iceland and is a certified farrier. He is continuing his education both in Europe and Iceland, and hopes to bring the knowledge back to Americans so they can enjoy this fantastic breed as well. He is the only American FEIF International Judge. He was one of the judges at the World Championships in Switzerland 2009. Will is an active judge and judged the Icelandic Championships in Iceland in 2014 as well as Sanctioned shows in the US and WorldRanking shows in Europe. Will was the assistant Chief Judge at the 2017 World Championships in Holland. Will is a very active member of the United States Icelandic Horse Congress. He is the current president of the USIHC and a member of the Board of Directors along with being a member of the Sport committee as well as the Education committee. Will rode in Landsmot 2000 and made 9th place in five gait out of more than 90 horses on a mare named Fjöður fra Ási I. He has competed at multiple Icelandic Championships and in 2003 he competed on Þór frá Prestsbakka and placed 4th in both Open Five-Gait and Open Tölt 2.